Gosh, when I think about this year, I realize how much my children have grown. In the literal sense, both have surpassed me in height and are fully embracing the change in perspective. Their playful giggles shake out of their shoulders as they hug me and call me little. I smile proudly as I look up at them; I honestly love the joys of watching them grow. My daughter gives me her shoes that no longer fit, and I give her my clothes that I should no longer be wearing. But the most important gifts they both continue to give to me can’t be swapped or purchased. The tween and teens years are full of growth—as parents, we fully anticipate tending to shrinking wardrobes and growing feet. We budget for right sizes and trips to the mall. But what we don’t budget for are growing hearts. While knees ache and morning hours come too soon, hearts are not immune to the pangs of either. This is where the real growing pains can take place. For all of you who have little ones who throw food on the floor and cry out in the night, smile. Their problems are small. You got this. When other kids are being unkind, you can more easily step in to protect your child. You can breathe deeply, knowing where your child is at all times and who they are spending time with. You can be the fixer. Our children have always shared their hearts with us. I am beyond grateful. We dialogue in tough, emotionally charged conversations without raised voices because we know their hearts are open, sensitive to the sounds of our words. We reciprocate the same back. Never are their opinions, feelings or experiences “less than” because of their ages. If something is important to them, it is important to us. I can’t imagine not being available to them in this capacity. How did we get here? We began talking about our emotions from the beginning, never assuming they were too young to understand. If I was in a bad mood, I would tell them why. If I was sad, I would share. Of course I didn’t give one hundred percent of the details all of the time, but I gave always enough to keep them close and not push them away. Our strongest emotions can do just that: like the most powerful magnetic forces, they can either push or pull. I learned a long time ago that it was isolating to be pushed away or to push someone away. When I shared my anger or sadness with my little ones, they always pulled me in and their love made me feel better in an instant. And the joys became profoundly more joyful. The tween years allow your mind and heart to prepare for the teen years. You slowly begin to lengthen to rope, instilling trust and confidence in both yourself and your child. We are not helicopter parents; we believe in independence. With independence, comes more independent decision making and responsibility—a life skill. Going back to growth, we have had profound growth of the heart this year. As our children are exposed to more and more of the real world, out on their own, their hearts have grown. They have witnessed more inequities, bullying, understand friends are not always loyal, have made good and poor choices themselves, and have had to make major decisions on their own. I say major because that is the reality of their perspective, never to be dismissed or looked down upon, because the significance is real, not requiring a note of levity. 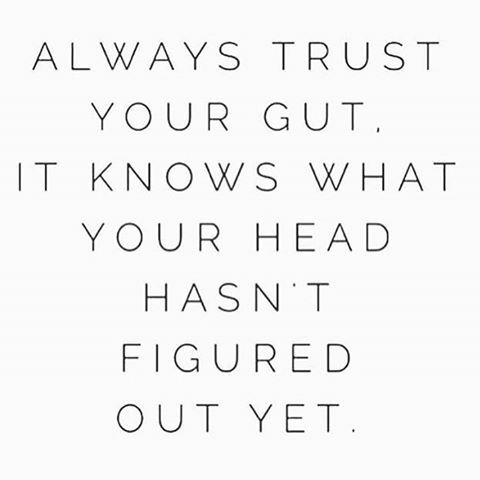 The best advice we can offer to them when they ask for advice is: TRUST YOUR GUT. In recent weeks, we added another word into that statement: QUIET. Impulsivity is not foreign to the teen years. As the frontal lobe of their brain struggles to keep up with the growing demands and temptations, a quick decision is sometimes confused with the best decision. Trust your quiet gut—go to a quiet place, let your emotions calm down, do the right thing (because you always know in your heart what the right thing is), be vulnerable, and take the high road even if it is the lonely road. 5. Trust your quiet gut.